This is a pretty character costume from the Smiff'y's Fever collection. The dress has an apron attached to the bodice and there is a three button image printed on the front. 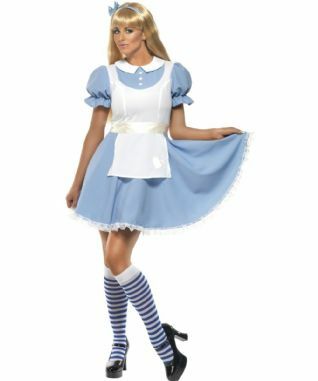 The outfit also includes a polyester satin belt, headband with bow and knee high striped stockings. 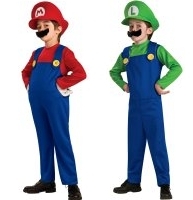 We have this costume in Medium only and it is a UK size 12-14.